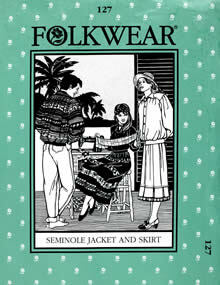 This dirndl-style skirt and blouson jacket are distinguished by the intricate and colorful piecing known as Seminole patchwork. The skirt features an optional dust ruffle and hem tuck. 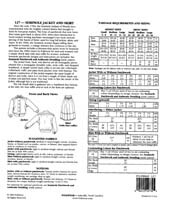 Pattern includes information about the history and technique of Seminole patchwork. Misses 6-16; Men's 34-44.